We shared this story from the Montana USDA Natural Resources Conservation Service last year about this time to get us all thinking about what we can do during the off season to improve things in the Spring. 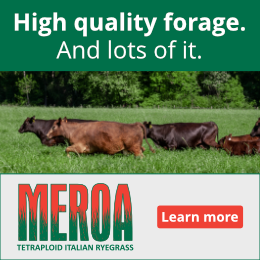 We hope it helps your 2019 grazing season be even better! It’s these kinds of producer stories that you’ll hear at this year’s National Grazing Lands Conference. These events only happen every other year, so we hope you’ll be able to join the On Pasture crew for this one in Reno. Register before October 16 to get the best price – $395 for you, and then bring a friend or spouse for just $175. Hurry! Registration goes up to $475 on October 16! When the Wessel family bought their ranch north of Lavina, Montana in 2008 they started by assessing what improvements were needed. NRCS did an inventory of the ranch, developing a grazing management plan with the Wessels that included a system for rotational grazing and stockwater tanks to support cattle in every unit. Wessel said the plan laid the ground work for everything that followed. “NRCS helped me map out everywhere water tanks would go and how the cattle would rotate,” he said. In what Wessel referred to as phase one, he installed 12 water tanks and electric fence to divide pastures. After the first year under his new system, Wessel was pleased with the results. “Our goal is to have more grass and feed less hay.” Mission accomplished. 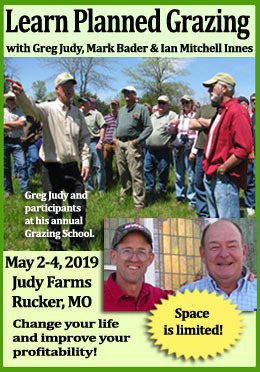 “We produced 30 percent of the hay we normally do because of the drought, but because we had enough grass to graze year round, we did not run short on hay,” Wessel said. 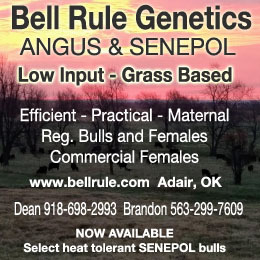 Converting marginal cropland to grazing land is another part of Wessel’s plan. Not only does that provide more grazing acres for his cattle, it also provides a benefit to wildlife in the area, particularly sage grouse. According to Austin Shero, NRCS district conservationist in Roundup, cropland conversion is the number one detriment to sage grouse habitat in Montana. “Converting cropland to grassland helps with brood rearing, which is the most critical component to increasing sage grouse success rates,” he said. The Wessel Ranch near Lavina, Mont., provides excellent sage-grouse habitat: large, intact and mostly treeless landscapes with sagebrush, native bunchgrasses, wildflowers and wet meadows. In addition to cropland conversion, the Wessels also added wildlife friendly ramps in stockwater tanks to allow wildlife to escape, virtually eliminating wildlife mortality in stockwater tanks. The electric fence used to divide pastures also has a wildlife purpose – allowing wildlife to easily travel under or over the fence. As Shero explains it, it’s about working lands for agriculture and working lands for wildlife. That’s why, in 2010 when the Wessels applied for financial assistance through the Environmental Quality Incentives Program, their project was a perfect match for NRCS’s Sage Grouse Initiative, an effort to conserve sage-grouse and sustain the working rangelands that support ranching economies. Wessels were one of the first participants in an initiative that has invested nearly $300 million in nearly 1,300 contracts to conserve and improve sage grouse habitat on little over 5 million acres. What are the Wessels’ future plans? They plan to convert more marginal cropland to grazing land, install water storage tanks to make water more readily available, add more stockwater tanks for cattle, and use electric fence to divide pastures to facilitate their rotational grazing system. Scott Wessel and his mother, Pam. Thanks to the National Grazing Lands Coalition for making this article possible!